Replacing an underperforming executive is one of the most challenging situations that a nonprofit leader must confront. It is fairly straightforward to terminate someone who is catastrophically failing, or someone who violates an established policy. But it’s particularly difficult to part ways with someone you really like, such as a long-time executive who gradually becomes less capable of delivering results, or a hard working employee who never quite seems to catch on, regardless of how you change their responsibilities. 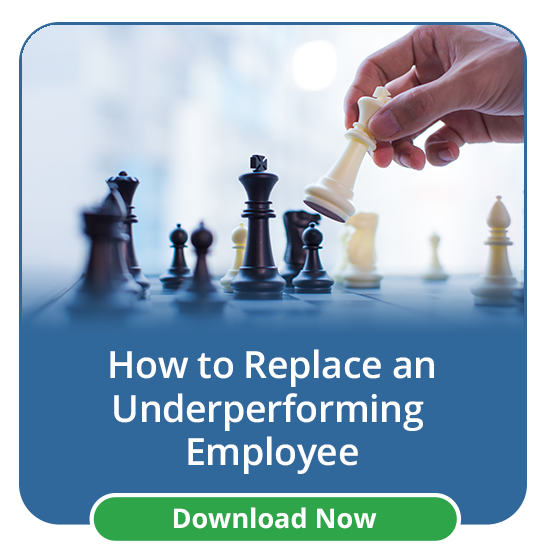 And of course, the termination decision becomes even more complex when the underperforming employee has good relationships with the rest of the staff, members, the board, or other external stakeholders. Because so many factors must be considered, many nonprofit leaders become paralyzed by the complexity, and put off making a decision. This usually makes the situation worse, putting a strain on the rest of the organization to pick up the slack. If a person is in a protected class, it is worth a chat with HR/an employment attorney to be sure you can make this decision without additional complications. Do you have an appropriate timeline with clear, unambiguous methods of measuring improvement? Have you directly observed the external relationships? Find a reason to participate in the meetings and conference calls this person is involved with. You may find that other people are equally concerned about this person’s performance. Begin to introduce other points of contact, so relationships can be preserved after the person departs. Follow this link for more information on performance management. Could you save money with someone who has less experience? 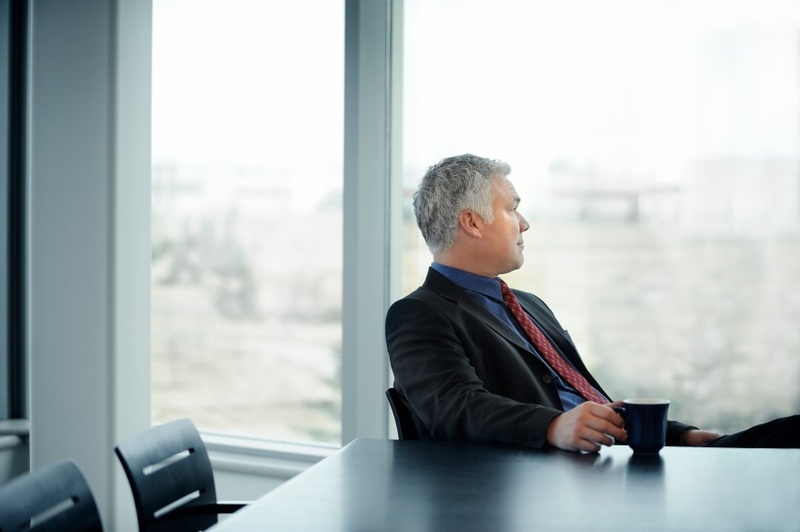 Could you get more skills for the same salary you pay the incumbent? Are you willing to pay more for more skills? What would success look like if somebody new came in? What business results would the new person achieve during the first 12 – 18 months? Can you afford to buy the level of skills to get the outcomes you want? This step involves researching and gathering intelligence about what kinds of candidates are in your current job market, and at what salary. Paradoxically, the best way to get what you want is to think about other people want, namely, why someone would find your job more attractive than their current role? When designing the job, remember that hiring is a tango dance competition, one where you are a contestant, not the judge. You are always in competition with other employers. Don’t assume you could find someone better without verifying that assumption with real information. Your current person might be the best person in the market who is willing to work for the salary you are offering. Fire the incumbent and then start the search for their replacement. This will leave you without someone in the role for the duration of the search process which can easily be 6-12 weeks. Engage in a confidential search while the incumbent is in the job. The risk factors here would be the difficulty of maintaining confidentiality during the interview process, and the risks that one of the candidates or their references might unwittingly reveal the search. It’s important to keep in mind that the broader audience for your actions all your other employees. If you routinely conduct confidential searches, your employees may begin to wonder if you’re secretly looking for their replacement as well, this will not promote a trusting culture. A common hybrid solution is to do the behind the scenes prep work for the search before terminating the incumbent. (This work includes: conducting the due diligence and market research phases, designing the job, and mapping out your recruiting strategy.) That way you’re ready to begin the search the minute you tell the person you’re replacing them. This can shorten the hiring process and transition period by a few weeks. For some positions, interim support is available. Some support functions, such as accounting, HR, and IT tend to have interim transition support options. Other functions like meetings, membership, marketing, tend to not have readily available interim support. Occasionally interim support is available informally through people you know, and occasionally a vendor can step in for a short time. Once you’ve determined your transition options, the next step is to plan the conversation with the incumbent. The conversation is not simply the words you will say, but also the timing, the setting, the privacy, security, and transition plan. These are all important considerations to make ahead of time. Ultimately, you can prepare for a variety of outcomes, but you can’t control the behavior of the other party. The incumbent might be grateful and relieved, or nervous and upset, or angry and defensive. Because you can’t know in advance how they will react, you need to be prepared for every scenario. Severance: Have a termination/severance package prepared and ready to go. Employers often exchange severance contingent upon a set of behaviors, such as the employee supporting the transition or waiving the right to sue. You may also want to consider offering outplacement services. Again, it’s not about the individual but the broader audience of all your other employees, so they feel you have acted in good faith. Prepare what you are going to say privately in the termination conversation. The key is being clear about your decision while demonstrating compassion and respect, allowing them to retain their dignity. Often this conversation is held in the presence of a witness. Prepare you public message to staff, the board and key external stakeholders: It may be appropriate to collaborate with the incumbent regarding what will be said externally, and you might offer the option of calling it a resignation instead of a termination. Decide how you will handle an unemployment claim if one is filed, and what you will say to references if they call. Security - Another consideration might be alerting building security, having IT immediately available to cancel passwords, etc. Depending on how things go, there might a need to move quickly on these items. If the incumbent handles sensitive information (accounting and IT for example) or if you have observed any inkling of defensiveness, or nervousness about oversight, you might be well served to have an outside auditor review the work. The reason an audit can be prudent is not because you distrust the individual. (Admittedly if someone is defensive or not taking vacation it can be a sign of impropriety.) The reason for an audit is to quickly assess the situation, ensuring that proper controls are in place. Warning signs may not signal deliberate fraud, but just a desire to hide incompetence. (It could be a classic example of Hanlon’s Razor: “Never attribute to malice that which is adequately explained by stupidity.”) When someone is not quite up to a job, there is a tendency to take shortcuts and make strategic errors that cause real problems for the next person in the job. You don’t want to delay discovery of the problem. Sometimes this audit work can be done by the interim executive, but occasionally it requires a third party. Can I get a promotion, or is my job getting harder or easier because of this change? Are more terminations on the horizon? Is my job safe, or am I next? Beyond your employees, be ready to discuss the concerns external people will have. If the person routinely interacts with the board, you may need to alert the board in advance of taking action. Whether it is a member, vendor, or someone on the board, their concerns will tend to be more personal in nature. Who will be my new point of contact? Who will follow-up on the matters I find important? Will this departure slow progress on important initiatives? At a minimum, you should have a communications strategy prepared, so you can respond confidently and clearly as soon as the news breaks. The best approach is to acknowledge the concerns of others, keep the focus on the work, and to move forward without dwelling on the past. For more information, read our interview with strategic communications expert Carrie Fox on communications strategies during tough transitions. The Theme to All of These Recommendations? Planning. Planning ahead allows you to confidently respond to any scenario, and emerge from the experience stronger, and more trusted than ever. You earn respect from everyone involved when you decisively handle a sensitive termination with humanity, dignity and discretion. Terminations test your focus and professionalism, but you cannot build high performing teams without the ability to address performance issues. Just remember, your stakeholders are not looking for friendship, they are looking for leadership. They are not looking for gossip, they are looking to see that you understand the situation, that you have a plan to handle it, and that you recognize the impact this decision will have on other people. Are 360 Reviews Actually Good for Performance Management?